Check on It: Beyoncé and Adidas Just Announced a New Partnership! While we were were buzzing about possible new music, Netflix specials and leaks of her beautiful kids, it looks like Beyoncé had another big drop on the brain. Thursday morning, it was announced that the megastar has signed with Adidas as its new creative partner. In a move that Page Six quipped makes Bey “the new Yeezy,” the entertainer and entrepreneur will be developing new products with the athletic juggernaut, including shoes, clothing and lifestyle. The new collaboration also means Bey has found the perfect new home for her athleisure line, Ivy Park, which she took sole ownership of after splitting with original partner Topshop last year, amid numerous accusations of misconduct against company chairman Sir Philip Green. Under her deal with Adidas, Page Six reports the brand will be relaunched and “Beyoncé will retain full ownership of the label, as well as debut a program aimed at empowering the next generation of athletes and creatives ‘driving positive change in the world through sport,’ according to a press release obtained by the site. 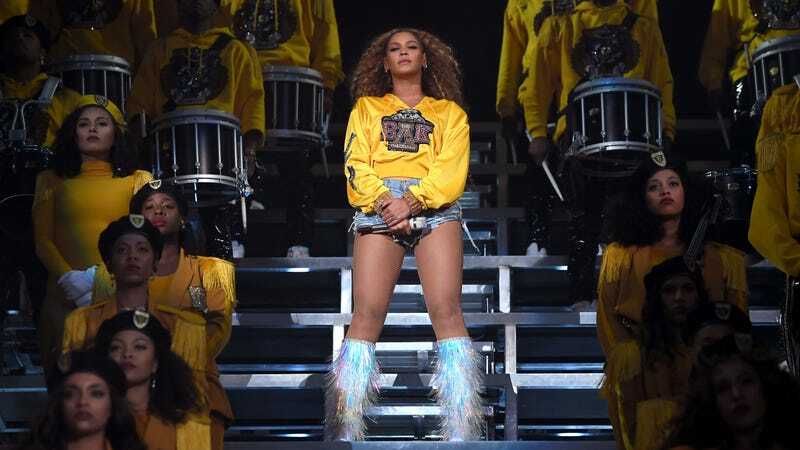 As for what we can expect, we’re hoping that some of Adidas’ classic, old school flair merges seamlessly with Bey’s Houston-meets-Hollywood-meets-HBCU homecoming glamour. From the looks of Adidas’ Lemonade-evoking Instagram tease, they know our thirst is real.